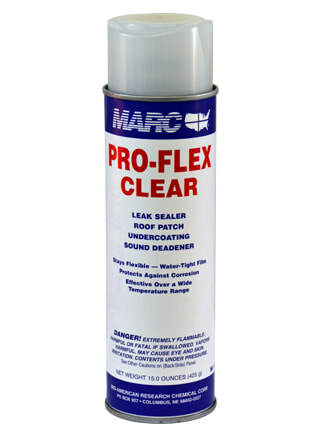 Pro-Flex Clear is a multi-purpose spray product which can be used as a leak sealer, roof patch, undercoating and sound deadener. It provides a clear, flexible, water-tight film which protects against corrosion. It is usable over a wide temperature range.